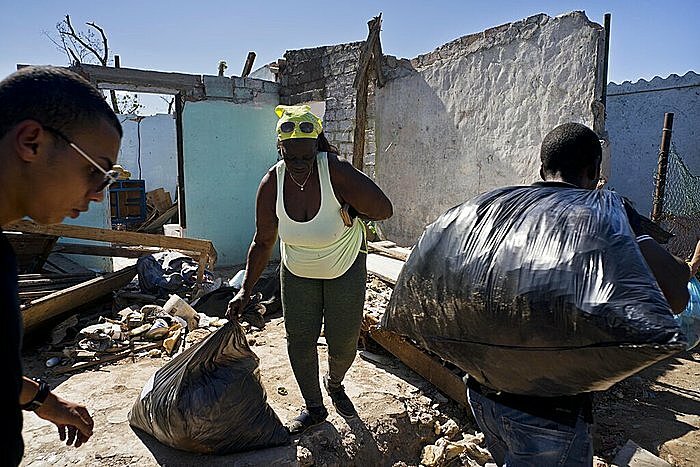 HAVANA (AP) — Nearly two weeks after a devastating tornado struck Havana, the worst-hit neighborhoods are filled with government crews restoring power and phone service and starting repairs to decimated homes. There's also a far rarer sight: Hundreds of young people in designer T-shirts and jeans hauling black plastic bags full of clothes, food and water donated by private businesses, artists and other members of Cuba's small but growing upper-middle class. For the first time in communist Cuba, prosperous individuals and successful entrepreneurs have taken on an important role in disaster recovery, long a point of pride for a government that boasts of its organizational ability and focus on caring for the neediest. "Why is it only the state and big institutions that can show up? Why not everyone?" asked Camila Gonzalez, a 19-year-old sociology student taking clothes, shoes and personal care items to the Cuban Art Factory, a privately run cultural complex and performance space. On Monday, the Art Factory hired a dozen classic American-made convertibles, normally used to ferry around tourists, to take donations to the devastated Luyano neighborhood. Much of the private effort has been organized on Facebook, WhatsApp and other social media, thanks to the roughly 2 million Cubans who have signed up for mobile internet since the service became available last year. Cuba is one of the least-connected countries in the world, but that has been changing quickly since the government began providing home and cellphone connections. "The organizational capacity and impact we've seen in recent days would have been unthinkable a decade ago," journalist Sergio Alejandro Gomez noted in a blog post titled: "The government loses the monopoly on social assistance in Cuba." Former President Raul Castro's opening of the centrally planned economy to a limited amount of private enterprise, and more internet, "has changed the socio-economic landscape of the country for the better," Gomez wrote. Disaster recovery was long seen as one of the greatest strengths of Cuba's communist bureaucracy, whose rigid centralization seems to work best in situations of national emergency. 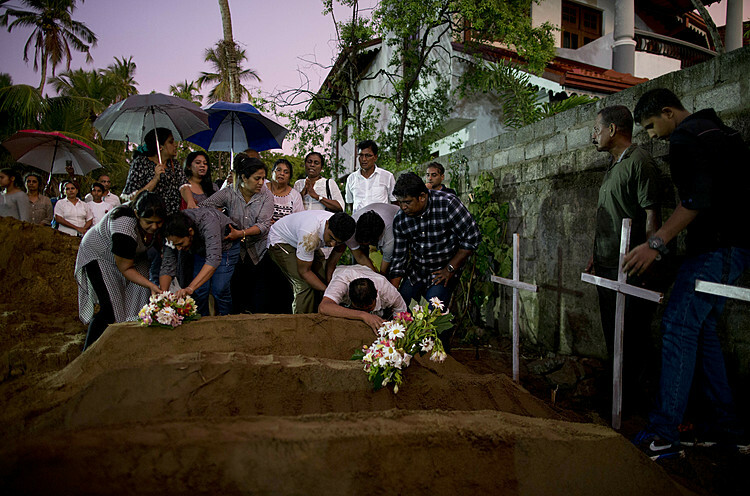 The state boasts an impressive record of avoiding deaths and providing basic services during natural disasters, although its ability to provide adequate housing long-term is mixed at best. Private aid started almost immediately after the extremely rare Category F4 tornado struck on the night of Jan. 27 with winds of 186 miles per hour (300 kph), damaging 4,800 homes and completely destroying 500 others. In some neighborhoods, individuals began arriving the next day with boxes of donated rice, water and clothing. In others, restaurants and bakeries set up stands where they distributed free food. "We've gotten aid from everyone, the government, artists, foreigners," said Ivis Rivero, whose home partially collapsed in the city's Luyano neighborhood. The Cuban government and official organizations like university student groups also sent in thousands of people to help, but unlike the donations brought in by private groups the state response involved selling food and construction supplies to the disaster-struck. "This is something that has affected us all," said Luis Ernesto Morales, who brought food and water from the restaurant he manages in the beach resort city of Varadero, an hour's drive away. Still, the good intentions of the private donors has created some chaotic scenes in the worst-hit neighborhoods, where the government has at times struggled to impose order and make sure the aid is flowing to the neediest. President Miguel Diaz-Canel made an unusual appearance on national television Wednesday along with virtually his entire cabinet to explain the government's attempt to make the recovery effort as fast and efficient as possible. 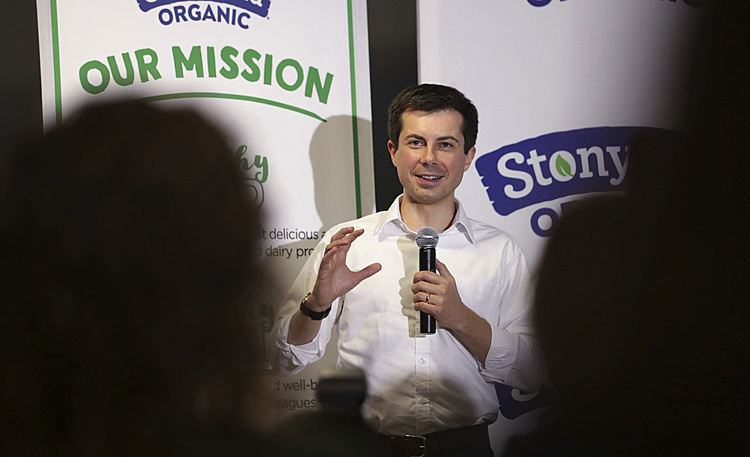 Many people say privately that they are skeptical of the government's ability to deliver or coordinate aid without bureaucratic inefficiency and corruption. Well-known musicians have held benefit concerts and personally distributed aid in the disaster zone — though they have sometimes run into problems with the authorities. Renowned conductor Zenaida Romeu complained in a widely shared post online that she and 18 members of her all-female chamber orchestra were escorted out of the Regla neighborhood by police after trying to distribute donations. "Sure, the artists want to help, but artists are pulling up and starting to distribute clothes and food, and that creates chaos," said Ismael Rodriguez, a self-employed worker in Regla whose home was damaged by the tornado. "They shouldn't just be giving out aid haphazard."